The UK's biggest beach clean-up and survey. Beachwatch is our national beach cleaning and litter surveying programme – helping people all around the UK to care for their coastline. Some of our best-loved marine wildlife is under threat from the waste and litter in our seas, with hundreds of species accidentally eating or becoming entangled in litter. It's also dangerous for people and damaging to our tourism and fishing industries. Join an event or organise your own and be part of the fight against marine litter in the UK. The end of 2012 saw the successful completion of the WWF-UK led LIFE+ PISCES project. PISCES brought together key marine stakeholders to consider how to implement the ecosystem approach in the Celtic Sea. Through the project stakeholders worked together to produce a highly-praised practical guide for implementing the ecosystem approach through marine policy, with particular focus on the Marine Strategy Framework Directive. The Celtic Seas Partnership follows on from the success of PISCES, building on the stakeholder momentum that was generated and the key project outputs. It operates on a greater scale than PISCES as it covers the Celtic Seas and not just the Celtic Sea. Formed in 2007 the Coastal Communities Alliance objective is focused on ‘Seeking to build alliances and common purpose around the coast of Britain, with a particular focus on socio-economic challenges’. Europe's coasts are suffering from increasing coastal erosion. Coastal zones are retreating. Land and sea interact with each other along the coast line. Demand and supply of sediments to the coast play an important role within this process. Obstruction of the natural flow of sediments in river basins or by infrastructure on the coast may cause a lack of sediment to replenish the coast and hence lead to erosion. Storms together with high waves often cause erosion by attacking beaches, dunes and cliffs. To tackle coastal erosion an integrated approach is needed. This approach should include practical measures as well as the elaboration of management plans. The main findings and recommendations of the pan-European EUrosion study are summarised in the publication Living with coastal erosion in Europe: Sediment and Space for Sustainability. The Local Government Association Special Interest Group on Coastal Issues seeks to champion and represent the collective interests of coastal, estuarine and maritime communities by increasing awareness and debate on environmental, economic and social issues at all levels in relation to the coast. It works in partnership with other organisations with complimentary aims and brings pressure on the government to secure local government’s full involvement at all levels of policy formulation concerning the coast. Coastal & Marine Union (EUCC) is a stakeholder and network association with members in 40 countries. Founded in 1989 with the aim of promoting a European approach to coastal conservation by bridging the gap between scientists, environmentalists, site managers, planners and policy makers. Since then it has grown into the largest network of coastal and marine practitioners and experts in Europe and neighbouring areas. The remit of DAERA-NI is to protect Northern Ireland's coastal and marine environment via legislation, licensing and permits and conservation activities. Other activities include monitoring, planning and protecting shellfish waters. Natural England are working in partnership with Plantlife, National Trust and the Wildlife Trusts to deliver this innovative project as part of the European Union’s LIFE programme. It will explore how to re-establish the natural movement within dunes and create the conditions that some of our rarest wildlife relies upon. The European Marine Observation and Data Network consists of more than 160 organisations assembling marine data, products and metadata to make these fragmented resources more available to public and private users relying on quality-assured, standardised and harmonised marine data which are interoperable and free of restrictions on use. EMODnet is currently in its third development phase with the target to be fully deployed by 2020. The European Marine Observation and Data Network Seabed Habitats website provides a permanent single portal for accessing seabed habitat data in Europe. This includes the EMODnet broad-scale seabed habitat map for Europe and habitat maps from surveys across Europe. SEDF is one of the world’s largest environmental organizations, based in the USA, with more than two million members and a staff of 550 scientists, economists, policy experts, and other professionals around the world. This includes work on overfishing. FishBase is a global biodiversity information system on finfishes. Its initial goal to provide key facts on population dynamics for 200 major commercial species has now grown to having a wide range of information on all species currently known in the world: taxonomy, biology, trophic ecology, life history, and uses, as well as historical data reaching back to 250 years. At present, FishBase covers >33,000 fish species compiled from >52,000 references in partnership with >2,000 collaborators: >300,000 common names and >55,000 pictures. The Humber Estuary is internationally important for wildlife. It is designated as a Special Area of Conservation and a Special Protection Area under the Habitats Regulations. It is also internationally important wetland under the Ramsar Convention. The Humber Nature Partnership works with its members and others to deliver the sustainable management of the Humber Estuary European Marine Site (EMS). The Humber Management Scheme (HMS) provides a coordinated and joined up approach for the management of the Humber Estuary EMS. With support from both statutory and non-statutory organisations, actions are developed and delivered to bring the estuary into what is known as 'favourable condition'. The HMS action plan outlines the main actions which the partnership will undertake to meet the conservation objectives of the Humber Estuary EMS. The International Maritime Organization is the United Nations agency with responsibility for the safety and security of shipping and the prevention of marine pollution by ships. Shipping is a truly international industry, and it can only operate effectively if the regulations and standards are themselves agreed, adopted and implemented on an international basis. A Review of Marine Nature Conservation (RMNC) was established in 1999 (by Defra) to examine how effectively the UK system for protecting nature conservation in the marine environment is working and make proposals for improvements. The Review set up the Irish Sea Pilot project in 2002 to test the potential for an ecosystem approach for managing the marine environment at a regional sea scale. The Irish Sea area was selected because it was considered to be one of the most ecologically-distinct regional seas around the UK. JNCC is the public body that advises the UK Government and devolved administrations on UK-wide and international nature conservation. Members include the Council for Nature Conservation and the Countryside, Natural Resources Wales, Natural England and Scottish Natural Heritage. JNCC’s role is to provide evidence, information and advice to enable decisions to be taken that protect natural resources and environmental systems. The marine section of the JNCC website contains information on marine and coastal topics including fisheries, pollution incidents, seabirds, protected habitats and legislation. KIMO was founded by local municipalities with a shared concern for the state of the environment, in response to a series of emerging environmental threats. KIMO is a local authorities’ international environmental organisation designed to give municipalities a political voice at regional, national and international level. Preventing pollution of the seas and coastal waters of North Western Europe and preserving, improving and enhancing them for future generations. This was an EC LIFE Natura funded partnership project completed in 2003. It addressed the impact of sea level rise and the flood and coastal defence response on the internationally important habitats protected by the Habitats and Birds Directive. Marine Scotland is responsible for the integrated management of Scotland's seas. Its purpose is to manage Scotland's seas for prosperity and environmental sustainability, working closely with our key delivery partners and others. The Scottish coastal region is of immense and diverse natural beauty and environmental value. In addition, however, the coastal zone is a focus of major industrial activity, particularly in estuaries which offer sheltered coastal sections and low-lying land for development. Integrated Coastal Zone Management (ICZM) is a multidisciplinary approach to the sustainable management of the coasts. It is all about co-ordinating how we manage the resources and activities in this environment. The Marine Biological Association (MBA) is one of the world’s longest-running societies dedicated to promoting research into our oceans and the life they support. Since 1884 they have been providing a unified, clear, independent voice on behalf of the marine biological community and currently have a growing membership in over 40 countries. They also run a leading marine biological research laboratory where many eminent scientists – including 7 Nobel prize winners – have carried out their research. The Marine Conservation Society (MCS) is the UK's leading charity for the protection of our seas, shores and wildlife. MCS champions a vision of sustainable fisheries, abundant marine life and clean seas and beaches for the enjoyment of all. Their mission is to achieve measurable improvements in the state of our seas, marine biodiversity and fish stocks through changes in government policy, industry practice and individual behaviour. The Marine Habitat Classification for Britain and Ireland provides a tool to aid the management and conservation of marine habitats. This publication presents a fully revised version of the national classification of benthic marine habitats (seashore and seabed habitats and their associated communities of species) for Britain and Ireland. It is one of the most comprehensive marine benthic classification systems currently in use, and has been developed through the analysis of empirical data sets, the review of other classifications and scientific literature, and in collaboration with a wide range of marine scientists and conservation managers. 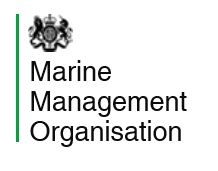 The Marine Management Organisation (MMO) makes a significant contribution to sustainable development in the marine area and promotes the UK government’s vision for clean, healthy, safe, productive and biologically diverse oceans and seas. The MSCC identify opportunities for the alignment and development of UK marine science to inform policy decisions and forward implementation of the UK Marine Science Strategy. The group has developed a (Strategic implementation plan 2015 to 2025 (MSCC/SIP/2016) outlining the key topics for policy decision-making and implementation of the strategy, which is reviewed annually. The group is working towards achieving clean, healthy, safe, productive, biologically diverse oceans and seas; the priorities are understanding how the marine ecosystem functions; responding to climate change and its interaction with the marine environment; sustaining and increasing ecosystem benefits. It comprises a partnership of government departments, devolved administrations of Scotland, Northern Ireland and Wales, environment agencies and research bodies involved in funding and providing marine science in the UK. The committee has four cross-cutting strategic areas each with a working group: science alignment, data monitoring and assessment, economic growth, and communication. The Marine Social Sciences Network (MSSN) aims to establish an active community of interdisciplinary researchers, policy makers and practitioners from across the marine and coastal sector, with a view to increasing awareness and understanding of the integral role that social sciences can have in management and decision making for our global seas and coastline. The Marine Stewardship Council is an international non-profit organisation established to address the problem of unsustainable fishing and safeguard seafood supplies for the future. They use their blue MSC label and fishery certification programme to contribute to the health of the world’s oceans. They want to recognise and reward sustainable fishing practices and influence the choices people make when buying seafood. They work with fisheries and businesses around the world to achieve this mission. 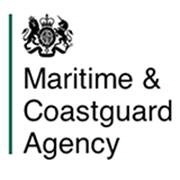 Assess risk and respond to UK coastal and marine pollution. The Marine Life Information Network (MarLIN) provides information to support marine conservation, management and planning. They provide information on the biology of species and the ecology of habitats found around the coasts and seas of the British Isles. Their resources are based on available scientific evidence and designed for all stakeholders, from government agencies and industry to naturalists and the public. MarLIN hosts the largest review of the effects of human activities and natural events on marine species and habitats yet undertaken. The Marine Environmental Data & Information Network is a partnership of UK organisations committed to improving access to marine data. It is an open partnership and its partners represent government departments, research institutions and private companies. There are five distinct groups of potential customers for marine data made available via the MEDIN framework: government departments/agencies, commercial organisations, academia/research, charities and NGOs, and the general public. Marine data are held by many organisations in the UK and are collected for many different purposes, including marine conservation, monitoring and forecasting of weather and ocean states, understanding of marine processes, etc. NCAs divide England into 159 distinct natural areas. Each is defined by a unique combination of landscape, biodiversity, geodiversity, history, and cultural and economic activity. Their boundaries follow natural lines in the landscape rather than administrative boundaries. Natural England is improving access to environmental evidence and information through NCA profiles. Access here. The NEP is a collaborative, effective, efficient, and adaptable coastal ecosystem-based network run by the US Environmental Protection Agency, protecting and restoring 28 estuaries of national significance. Many of the issues and actions taken are relevant to European situations. The National Trust protects 775 miles of coastline in England, Wales and Northern Ireland (almost 10 per cent of the coastline) including hundreds of miles of coastal paths. The National Trust For Scotland is similarly involved in Scotland. The Neptune campaign has been working to preserve the UK's coastline for 50 years and has announced plans for the next 50 years. Natural England is the government’s adviser for the natural environment in England, helping to protect England’s nature and landscapes for people to enjoy and for the services they provide. Their responsibilities include promoting nature conservation and protecting biodiversity, and conserving and enhancing the landscape. Priorities from 2014 to 2019 include marine biodiversity. They cover Marine Special Protection Area consultations. Marine Protected Areas: Marine protected areas (MPAs) are parts of the sea identified for the protection of marine habitats and species. They cover a wide diversity of marine wildlife, including rare and sensitive habitats and species. Our seas also support a wide variety of human activities and our marine protected areas help us identify where pressure from these activities may need more careful management. MPAs in Wales include Sites of European and international importance; SSSI; Skomer Marine Conservation Zone. Over the past 50 years, the Neptune Coastline Campaign has enabled the National Trust to buy 574 miles of coastline; securing these special places for all to enjoy. Today they look after 775 miles of coastline around England, Wales and Northern Ireland. The North West Coastal Forum is a multi-sector partnership bringing together coastal stakeholders from across the North West to work together across boundaries to deliver economic, environmental and social benefits for coastal communities in North West England. OSPAR is the mechanism by which 15 Governments & the EU cooperate to protect the marine environment of the North-East Atlantic. 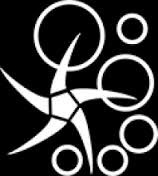 OSPAR started in 1972. The fifteen Governments are Belgium, Denmark, Finland, France, Germany, Iceland, Ireland, Luxembourg, The Netherlands, Norway, Portugal, Spain, Sweden, Switzerland and the United Kingdom. Work areas include: biological diversity and ecosystems, hazardous substances and eutrophication, human actions, the offshore industry, and radioactive substances. SCOPAC is an influential network of local authorities and other key organisations that share an interest in the management of the shoreline of central southern England. Established in 1986, SCOPAC's role has been to assist members in developing a co-ordinated and sustainable approach to coastal risk management by commissioning research and sharing information. The SCOPAC area of interest extends from Lyme Regis in the west to Shoreham-by-Sea in the east and includes the Isle of Wight. SCAPE is a charity that researches, conserves and promotes the archaeology of Scotland's coast. SCAPE is especially interested in remains that are threatened by coastal erosion. Scotland's Coastal Heritage at Risk: SCAPE developed Scotland’s Coastal Heritage at Risk Project so that they could involve more people to more effectively tackle this important national issue. Their philosophy is that eroding coastal heritage provides opportunities for anyone to enjoy and benefit from taking part in archaeological and historical exploration and discovery. The Scottish Coastal Forum was formed in 1996 to encourage debate at national level on coastal issues. Its members advise Marine Scotland, from an operational perspective, on the development of policy relating to marine planning and licensing within a sustainable marine environment. The Forum also provides a network for circulating information and best practice in coastal management amongst its own varied membership and the wider ICZM (Integrated Coastal Zone Management) community. There are various local coastal partnerships including: Firth of Clyde, Tay Estuary, Coast Hebrides, Moray Firth, Forth Estuary, Solway Firth, and the East Grampian Coastal Partnership. Managing Scotland’s Coastline: The Scottish coastal region is of immense and diverse natural beauty and environmental value. In addition, however, the coastal zone is a focus of major industrial activity, particularly in estuaries which offer sheltered coastal sections and low-lying land for development. Integrated Coastal Zone Management (ICZM) is a multidisciplinary approach to the sustainable management of the coasts. It is all about co-ordinating how we manage the resources and activities in this environment. Marine Scotland is committed to a clean, healthy, safe, productive and biologically diverse marine and coastal environment that meets the long term needs of people and nature. This includes managing our seas sustainably to protect their rich biological diversity and to ensure that our marine ecosystems continue to provide economic, social and wider benefits for people, industry and society. To help us achieve this, a Strategy for Marine Nature Conservation in Scotland Seas has been published outlining Marine Scotland's vision, aims and objectives for protecting marine biodiversity. Scottish Natural Heritage helps to develop policy and guidance. The website includes information on managing coasts and seas and coastal habitats. The Scottish Sustainable Marine Environment Initiative (SSMEI) was a unique and innovative approach to develop an overall marine planning framework for Scotland. The SSMEI aimed to develop and then test the benefits of possible new management framework options for the sustainable development of Scotland's marine resources through the establishment of a number of pilot projects. Four pilot areas were involved: The Firth of Clyde; Shetland Isles; The Sound of Mull; and the Berwickshire coast. A literature review was undertaken in Phase I, scoping and design of the framework for a series of pilot management schemes in Phase II. Implementation of these pilot schemes is now in progress as part of the final Phase III. This is a national project for volunteer sports divers who have an interest in what they're seeing under water, want to learn more and want to help protect the marine environment. The main aims are to map out the various types of seabed found in the near-shore zone around the whole of the British Isles and record what lives in each area, thereby establishing the richest sites for marine life, the sites where there are problems and the sites which need protection. As the only non-campaigning organisation looking after one of the world’s premier rivers, the partnership provides a framework for sustainable management of the Thames. With a strong network of over 5,000 stakeholders, they are a membership organisation delivering best practice, knowledge sharing and key connections to achieve a thriving living and working river for London. Their partners are significant Thames stakeholders and include the Corporation of London, University College London, the Environment Agency, The PLA, Natural England, Thames Water and Essex County Council. Their work includes implementing effective engagement programmes; hosting multi-sector meetings; facilitating themed working groups to resolve issues around dredging, litter, biodiversity and fisheries; conferences and networking events; developing partnership funding bids. Wildlife Safe (WiSe) aims to promote responsible wildlife watching through training, accreditation, and awareness-raising. 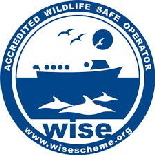 The WiSe scheme is the UK standard for commercial marine wildlife watching. Recognising the need to develop and maintain the highest standards, they seek collaborative opportunities to work with like-minded organisations (nationally and internationally) to raise standards and develop new, workable initiatives. If you want to go wildlife watching at sea, try to choose a WiSe accredited operator. The website has contact details for WiSe operators throughout the UK. Protecting UK seas: WWF have been working for over 20 years to secure an ecologically coherent network of MPAs in the UK. UK seas need ecosystem based planning, which protects the wider environment while encouraging sustainable development. That means bringing together government, regulators, marine industries, NGOs and local communities to make it happen. WWF are about to start a project focusing on MPA management and financing, called WWF SEAS. They are aiming to help bring the UK's MPA network to completion, promoting top-level planning, clear objectives, strong management and proper enforcement throughout UK waters. BBC Schools section on rivers and coasts – including what happens when rivers meet the coast. Aimed at younger pupils. Although these pages are archived and are no longer updated, the information is still useful. This is an American website with a wide range of material for use in schools. Topics covered include estuaries, coastal zone management. Most of the material can be used for non-American environments. The Marine Conservation Society’s Cool Seas section includes information on sea creatures, the threats they face and ways to help. There are also links to the MCS menu for more information. 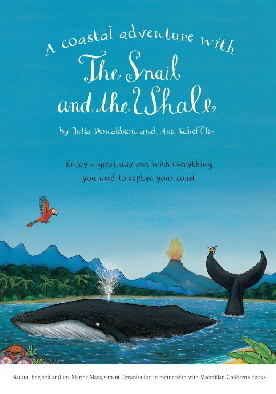 This activity booklet from MMO, Natural England and Macmillan Children’s Books has tools and information families need to explore their coast - from matching animals to their coastal homes and learning fun marine animal facts to advice about keeping our coasts free from marine litter. 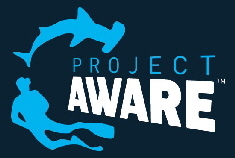 Project AWARE works with scuba divers across the globe to protect underwater environments. It has achieved major successes in protecting marine wildlife and fragile marine habitats through science, education, influence and community action. Since 2011, it has focused on two top ocean issues where scuba divers are uniquely positioned to influence change - shark and ray conservation and marine debris. General information on coastal habitats for school children. Living with a Changing Coast (LiCCo) schools resources for the Exe Estuary and Poole Harbour. Range of publications from the Joint Nature Conservation Committee. This Natural England report highlights the various options under different SMP scenarios - Hold The Line (HTL), No Active Intervention (NAI) and Managed Realignment (MR). Coastal Habitat Restoration – Towards good practice (2003) forms an integral part of 'Living with the Sea', which was a four-year, UK based and EU LIFE Nature funded project. It provides an information resource for operating authorities and other practitioners and guides them as to how they can deliver habitat restoration and re-creation works. The ‘Guide to restoring the habitats’ section provides an information resource for operating authorities and other practitioners and shows them as to how they can deliver habitat restoration and re-creation works. Habitats covered range from sea cliffs to sand and mud flats. Paper by Nicholls, R.J. et al (2007) Coastal systems and low-lying areas. Climate Change 2007: Impacts, Adaptation and Vulnerability. Contribution of Working Group II to the Fourth Assessment Report of the Intergovernmental Panel on Climate Change. The Good Fish Guide is a guide to choosing sustainable seafood, published by the Marine Conservation Society. The Foresight Flooding and Coastal Defence Report April 2004. Future Flood Prevention report (House of Commons Environment, Food and Rural Affairs Committee Second Report of Session 2016–17). Some five million people in England are at risk of flooding. Winter 2015–16 broke rainfall records and various storms disrupted communities across northern parts of the UK. Storm Desmond alone cost the UK more than £5 billion. More frequent, more intense storms resulting from climate change will in future put more people at risk and increase flood impacts. The government has increased budgets for flood risk management, but this level of funding is unlikely to deliver sufficient protection in future decades. The government must publish by the end of 2017 its 25-year ambition for flood risk reduction, and the cost of securing this, against different climate change scenarios. What the government is doing to protect the marine environment and biodiversity through planning, regulation, science and research. This guide for coastal authorities and managers reviews the different ways in which erosion can be managed and describes and illustrates how each technique can be designed to minimise the damage to the natural heritage. Scottish Natural Heritage, 2000. The National Oceanic and Atmospheric Administration (NAOO, US Dept of Commerce) has a wealth of up-to-date information on marine debris, and oil and chemical spills. Integrated Coastal Zone Management – Our Coast: Outcomes and Lessons Learnt (European Commission 2012). Integrated Coastal Zone Management (ICZM) is a planning and coordinating process whereby decisions are made for the sustainable use of coastal areas and resources. This review resulted in five key outcomes, valid for all coastal Member States. A large proportion of the Anglian coast consists of 'soft cliffs' that are susceptible to marine-induced erosion. Investigation and management of soft rock cliffs by E M Lee and A R Clark will be of interest to coastal engineers, geotechnical engineers, geomorphologists, planners and students, covering a range of issues on cliffed coastlines. The UK government ‘Review of Marine Nature Conservation’ set up the Irish Sea Pilot project in 2002 to test the potential for an ecosystem approach to managing the marine environment at a regional sea scale. The project has now completed its research and has reported to Defra making 64 recommendations. Integrated Coastal Zone Management (ICZM) is a multidisciplinary approach to the sustainable management of the coasts. In Scotland, ICZM has been implemented by Local Coastal Partnerships. Marine Scotland Science undertakes monitoring, research and regulation on certain coastal activities. This act provides the legal mechanism to help ensure clean, healthy, safe, productive and biologically diverse oceans and seas by putting in place a new system for improved management and protection of the marine and coastal environment. MCZs protect a range of nationally important marine wildlife, habitats, geology and geomorphology and can be designated anywhere in English and Welsh inshore and UK offshore waters. The designation of Marine Conservation Zones (MCZs) safeguards vulnerable or unique marine species and habitats of national importance in the Northern Ireland inshore region, based on an ecosystem approach. These MCZs fulfill the obligations on The Marine Act (Northern Ireland) 2013 to contribute to an ecologically coherent UK network of MPAs as well as wider biodiversity commitments at European and global level. Marine Protected Areas (MPAs) are a clearly defined geographical space, recognised, dedicated and managed, through legal or other effective means, to achieve the long-term conservation of nature with associated ecosystem services and cultural values. The EU is the world’s largest maritime territory and marine resources make a significant contribution to each Member State’s economic prosperity and social well-being. The European marine environment must therefore be protected to ensure that it is healthy, productive and safeguarded for the use of future generations. Many of the threats to Europe’s marine resources require co-operation and collective action to be tackled effectively. It is within this context that the Integrated European Maritime Policy, which aims to provide a coherent framework for joined up governance of the marine environment, has been developed. This document sets out the National Trust vision and ambition for the coast. No Take Zones are marine protected areas that do not allow any fishing, mining, drilling, or other extractive activities. A Strategy for the Conservation and Sustainable Development of our Marine Environment. This report sets out Defra’s vision for the marine environment – clean, healthy, safe, productive and biologically diverse oceans and seas. It is underpinned by the principles of sustainable development, integrated management, the conservation of biological diversity, robust science, the precautionary principle and stakeholder involvement. This report provides information on the structure and functions of saltmarsh, a habitat previously regarded as wasteland but which is now valued for its wide range of functions in relation to sea defence, nature conservation and supporting life in adjoining ecosystems. Scottish Natural Heritage has prepared a suite of publications to guide the future management of the natural heritage towards 2025, within the wider context of sustainable development. These documents aim to identify common goals and encourage an integrated approach in which all sectors work together. Six broad national themes are reviewed. The Scottish Sustainable Marine Environment Initiative (SSMEI) was a unique and innovative approach to marine planning in Scotland. It aimed to develop and test new approaches to improve the sustainable management of Scotland's marine environment through the establishment of pilot projects. A shoreline management plan (SMP) is a large-scale assessment of the risks associated with coastal processes and helps to reduce these risks to people and the developed, historic and natural environment. Shoreline Management Plan mapping - This dataset identifies which second generation Shoreline Management Plan is applicable to a particular stretch of coastline. Special Areas of Conservation are strictly protected sites designated under the EC Habitats Directive. Details of the process of SAC selection and designation are available on JNCC's SAC selection pages. Also provided is a full list of sites within the UK. SACs are designated under the EC Habitats Directive for habitats and species are listed in Annex I and II of the Directive. SACs with marine components are sites that contain qualifying marine habitats or species. There are currently 105 SACs with marine components that cover about 14% of the UK's marine area. Written by a coalition of more than 50 leading wildlife charities and research organisations, including The Wildlife Trusts, the State of Nature 2016 report assesses the status of wildlife in the UK at land and sea (including both coastal and marine areas).